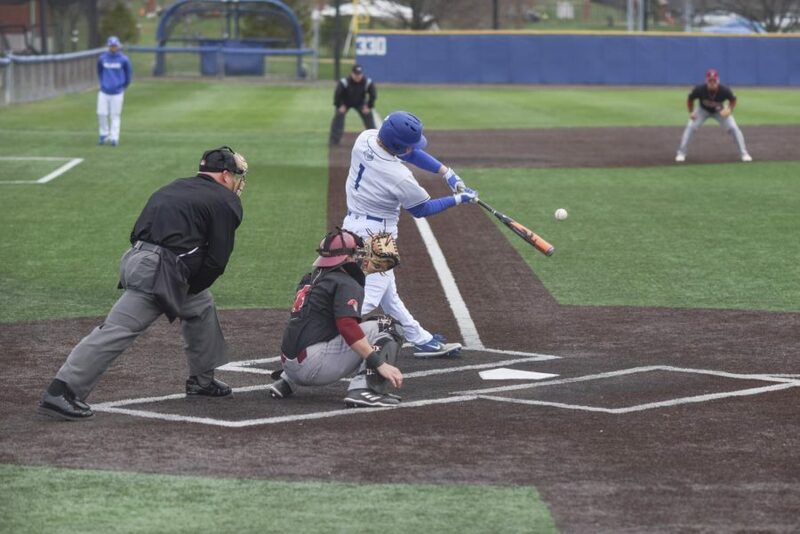 Focus: Senior Alex Case makes contact with the ball at the Billiken Sports Center. 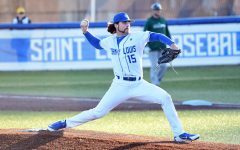 Billiken baseball has been slaughtering its A-10 opponents one by one. The men are currently 11-1 in the A-10 with the only A-10 adversary they’ve lost to being VCU. They went 3-0 against St. Joseph’s, 2-1 vs. VCU, and now they have swept UMASS and Dayton. 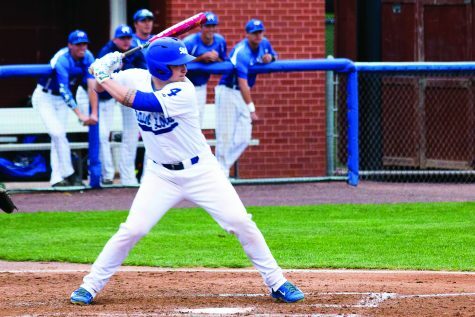 This weekend against Dayton, the Billikens were explosive on offense, scoring a combined 34 runs. 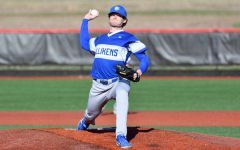 The Billikens put up a huge lead early in Friday’s first game with a score of 5-2 by the fifth inning but fought adversity in the bottom of the ninth when the Flyers put up 6 runs. Senior left-handed pitcher, Aaron Patton, was able to get the Billikens out of the inning and give them the win by striking out the last batter at the plate with a runner on first. The final score was 9-8. 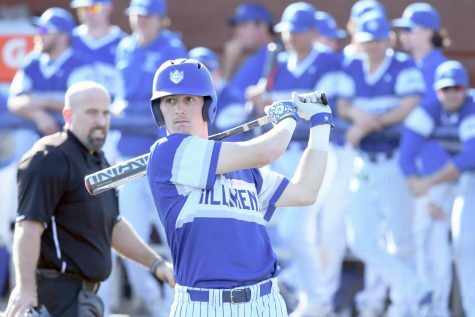 The Billikens had three homeruns hit by seniors, Alex King, Parker Sniatynski and James Morisano. The nail biting was at a minimum in game two. Junior right-handed pitcher Jackson Wark struck six batters out and allowed only two runs in six innings to earn the win for the Billikens. 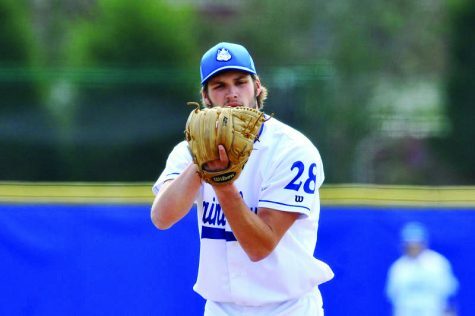 Game two was Wark’s seventh win of the season. He leads the A-10 this season. The Billikens showed their offensive dominance with King’s second homerun of the day—his sixth of the season—and Sniatynski’s three hits. The final score was 8-4. 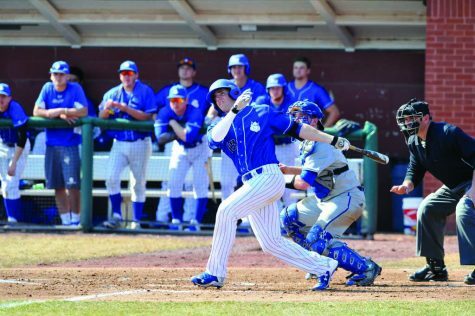 Saturday the Billikens let their bats do the talking in their sweep against Dayton. The men recorded 20 hits against the Flyers. In the first inning, King sent a message by hitting his seventh homerun of the season. 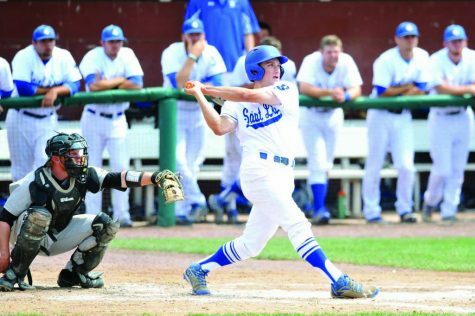 Sniatynski then singled and made it to second on his fourteenth stolen base of the season, then senior first baseman Nick Reeser hit a single to center field, giving Sniatynski the go ahead to run home. After allowing three hits and a walk that led to two runs on the board for the Flyers, junior Drew Reveno was exchanged for sophomore Charlie Sheehan. 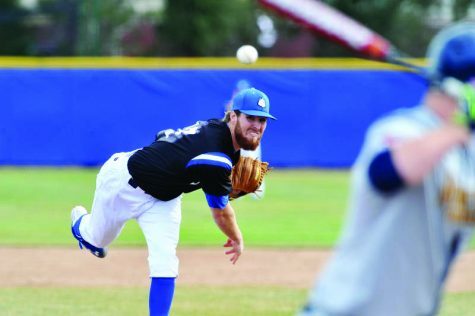 Sheehan got the Billikens out of the second inning without irreversible damage as he tossed the last out of the second inning to the first batter he faced. The real scoreboard explosion happened in the third inning. The bases were loaded with a hit batter, a walk, and an error. Then Reeser stepped up and hit a grand slam with no outs. Senior catcher James Morisano singled after the celebration at home plate. After him, senior Aaron Case doubled, and King singled to bring them both across the plate. At the end of the third, the score was 9-2. The scoring just kept coming after the third. 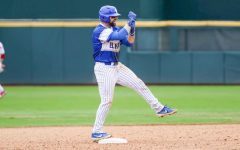 The Billikens crossed the plate two more times in the seventh, three times in the eighth and another two in the ninth. They ended the game 17-4. Tuesday the men traveled to Southeast Missouri State for a midweek competition. SEMO seemed to always find a way to answer back at the plate after the Billikens got on the board. After going one run in the first for SLU, then one run in the second inning for SEMO, SEMO took the lead in the third with another run. 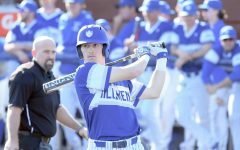 The Billikens then answered back in the fourth inning with a two-run homerun driven in by Morisano. The bottom of the fourth was then met with two runs by SEMO. By the end of the sixth inning, the score was 6-3. 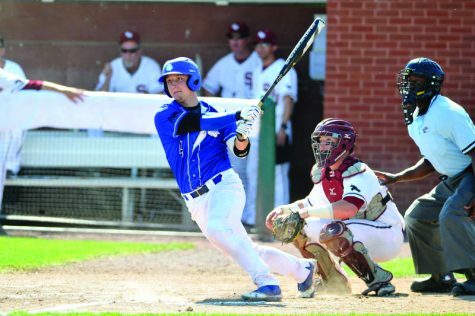 In the top of the seventh, the Billikens knew that they needed to catch up and scored 5 to make it 8-6. Then in the bottom of the seventh, the Billikens lost control with a hit batsman, a wild pitch and an infield hit that culminated in SEMO sending four players across home plate. The rest of the game went scoreless. The final was 8-10. 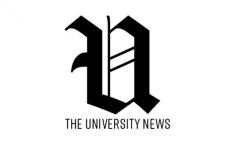 Wednesday, it seemed that the Billikens had it in the bag against SIUE. 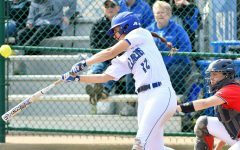 With back to back three run innings in the fourth and fifth, the Billikens were up 6-0. 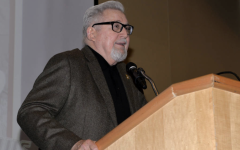 Then in the sixth inning, SIUE stepped up and got six runs to score. They then pushed it over the edge in the seventh inning with one extra run to get the win. 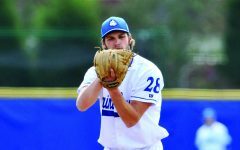 The Billikens start another three-game series on April 20 against Jacksonville at home.